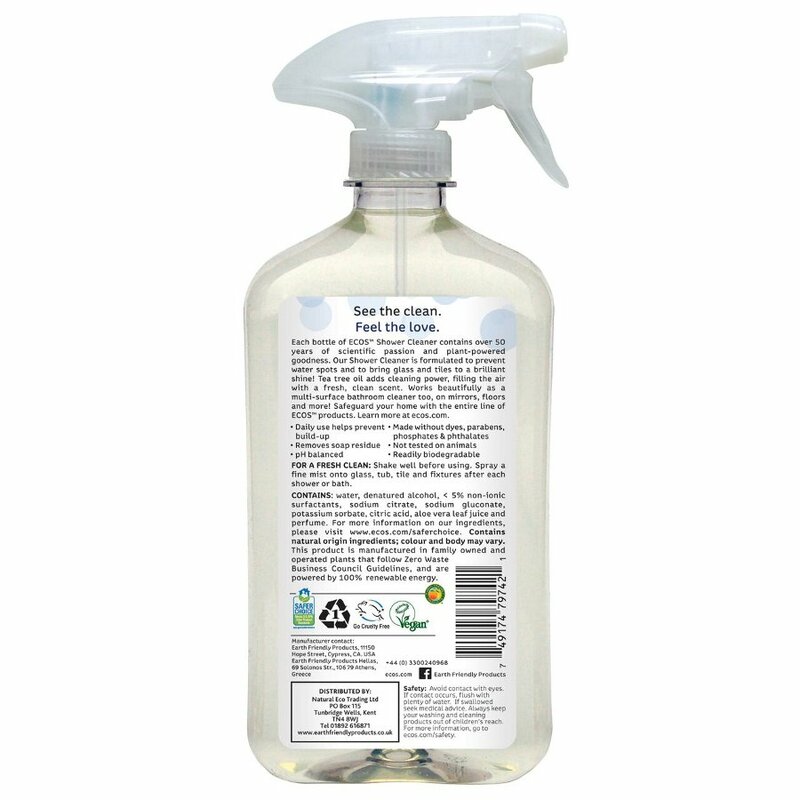 This shower cleaner contains Tea Tree oil which helps to eliminate & prevent hard water stains & soap scum marks. This product has a pleasant lavender scent. It is recommended before first application to thoroughly clean tiles and glass. Apply after each shower to maintain stain-free tiles and glass. Prevents hard water and soap build up. water, denatured alcohol, < 5% non-ionic surfactants, sodium citrate, sodium gluconate, potassium sorbate, citric acid, aloe vera leaf juice and perfume. 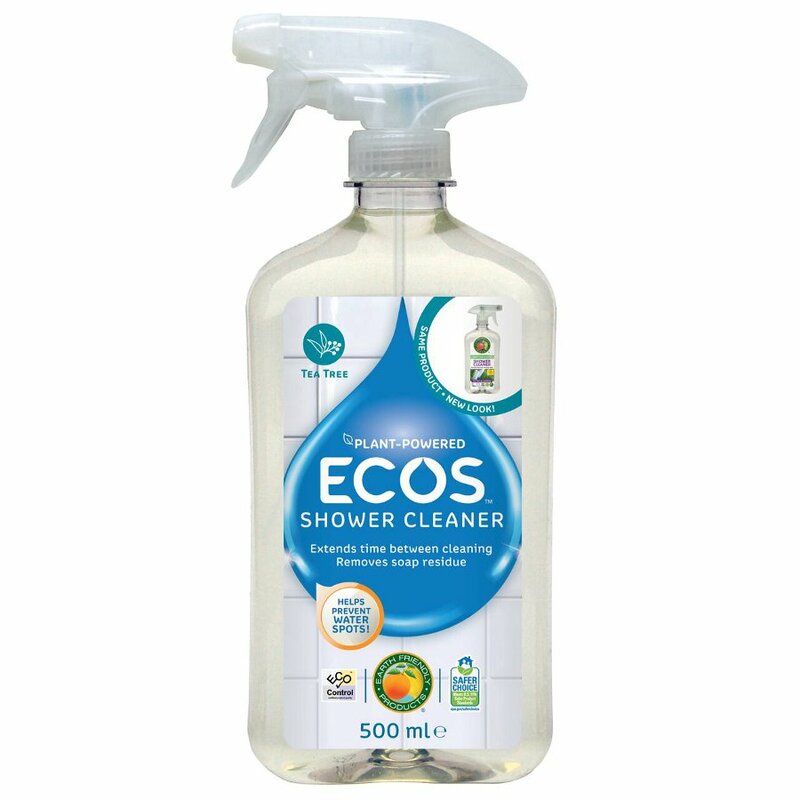 There are currently no questions to display about ECOS Tea Tree Oil Shower Cleaner - 500ml.